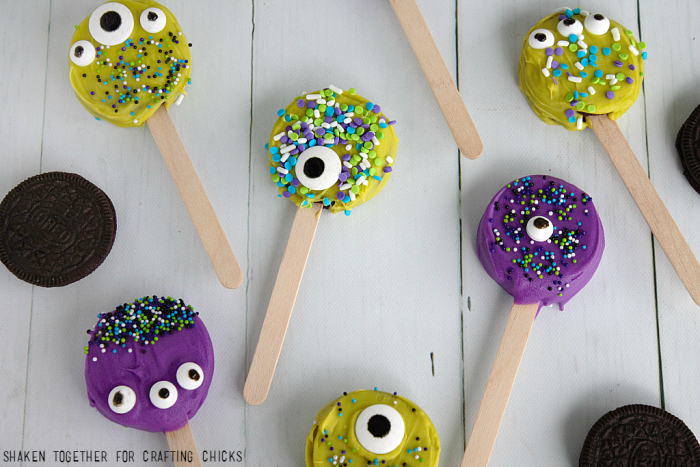 Grab the kiddos and 5 simple ingredients and make these no-so-scary Monster Face Oreo Pops! Eeeek! I love Halloween! 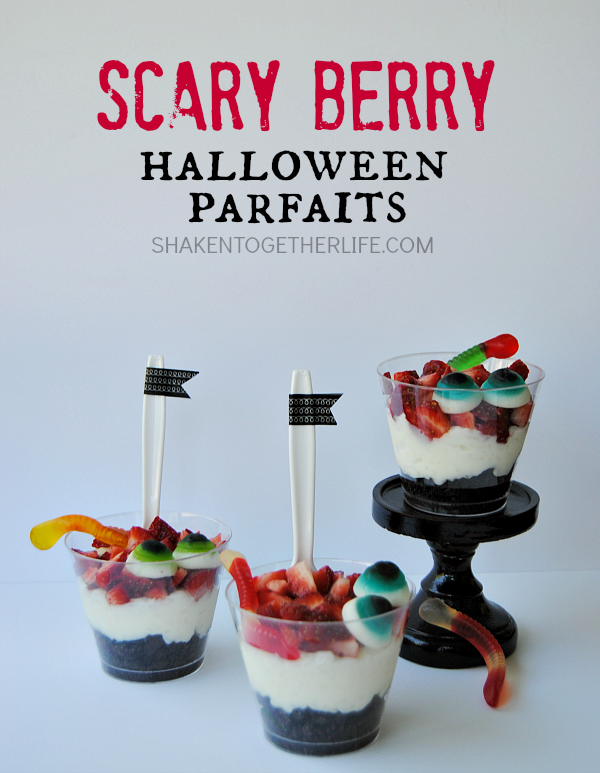 And I can’t wait to share these adorably goofy no-bake Halloween treats with you! 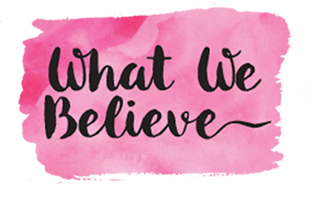 If we haven’t met yet, I am Keri from Shaken Together where I share easy recipes from breakfast to dessert and everything in between! 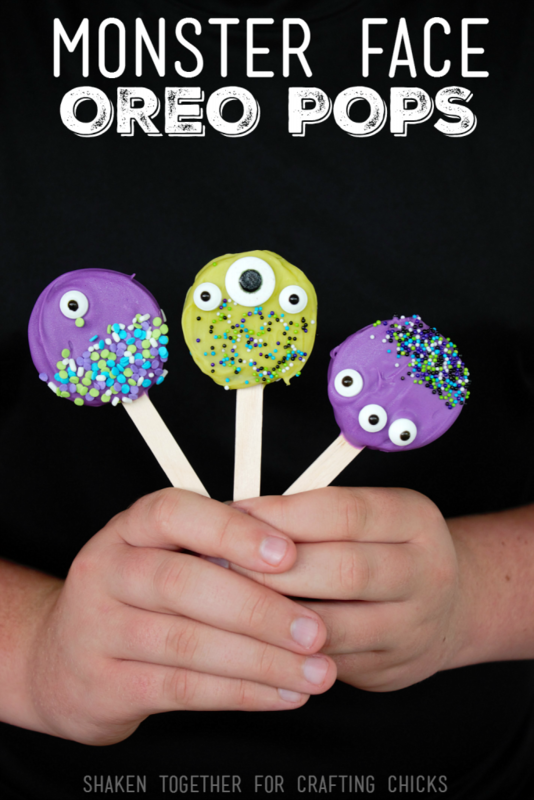 These Monster Face Oreo Pops are so easy that other than melting the chocolate, the little hands in your kitchen can help with every step from dipping to decorating! 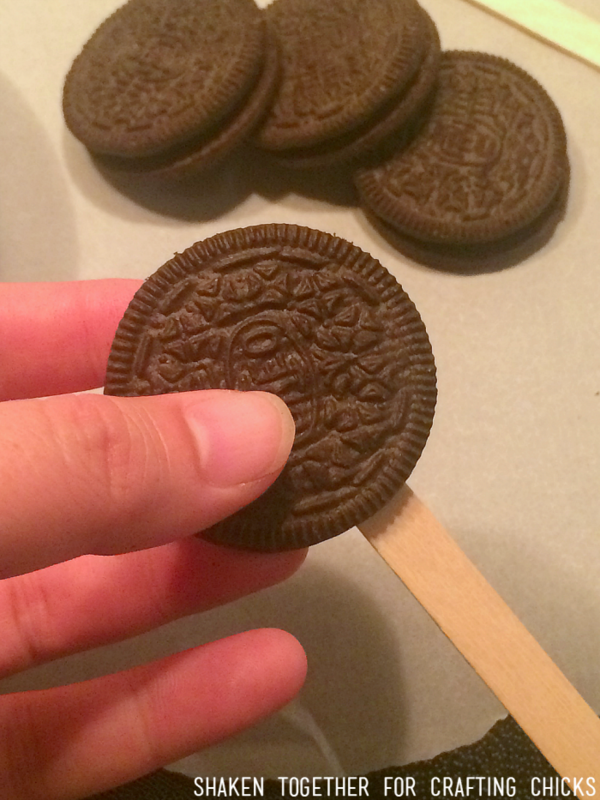 First, we need to make the Oreo pops. Slide a popsicle stick into the creme center of the cookie and then gently squeeze the cookie together to keep the stick in place. Easy peasy. 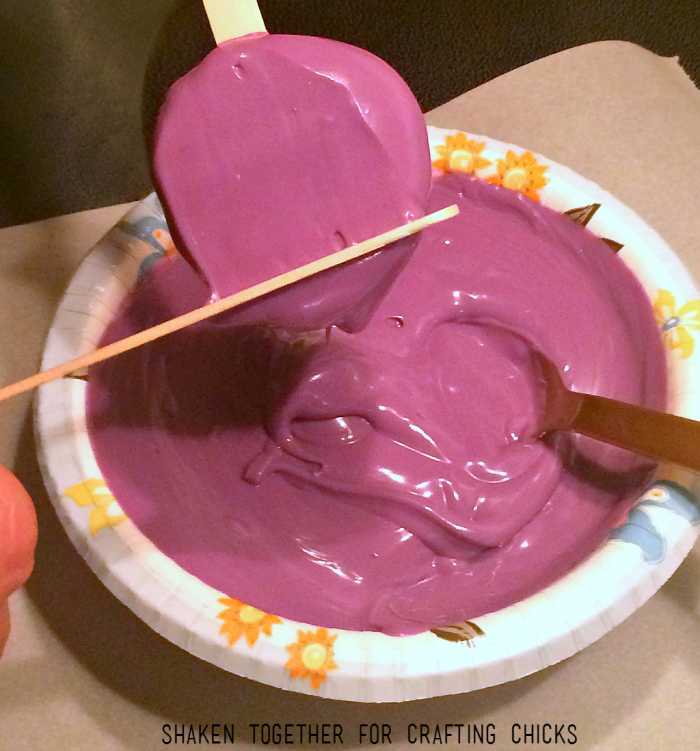 Once the candy melts are melted according to package directions, it’s time to dip! 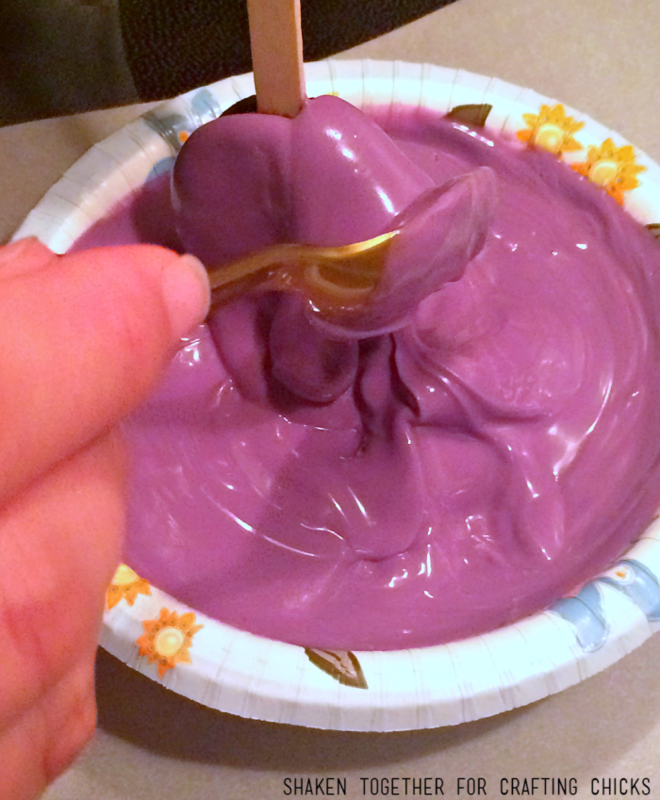 I like to use a plastic spoon to spoon the melted chocolate over the cookies. Tip: Use a popsicle stick to clear the excess chocolate off the surface and edges of the cookie to create a nice flat surface. 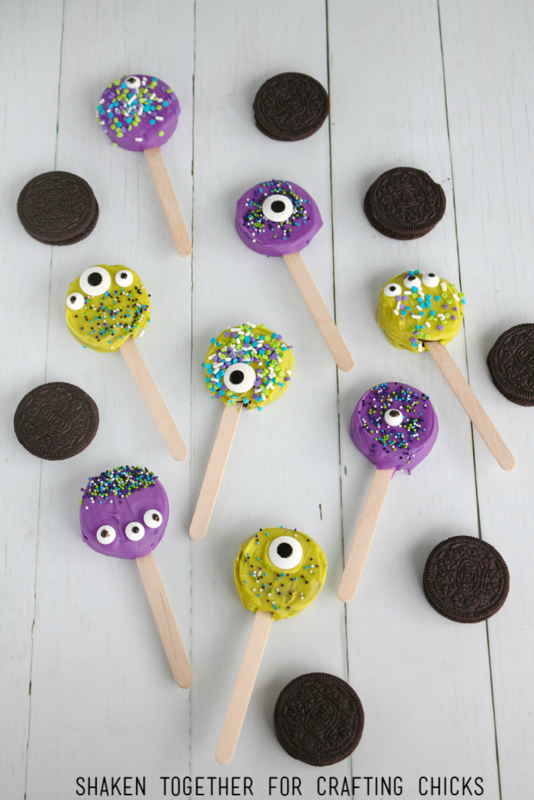 These wouldn’t be Monster Face Oreo Pops with the faces … use candy eyes and sprinkles to give these monsters some character! 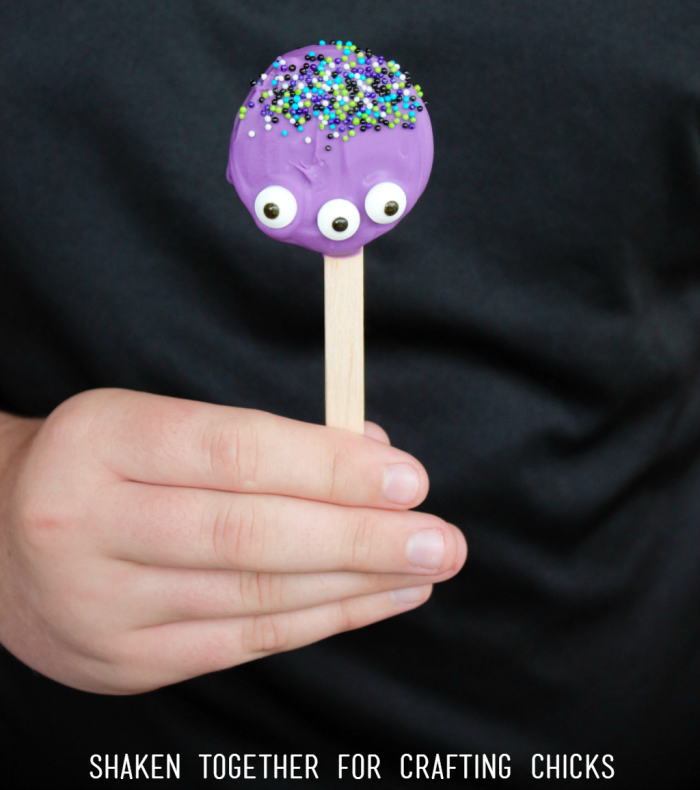 I love that little purple guy with the sprinkle hair and the one-eyed guy with all the sprinkle polka dots. Seriously, I could sprinkle all the things!! 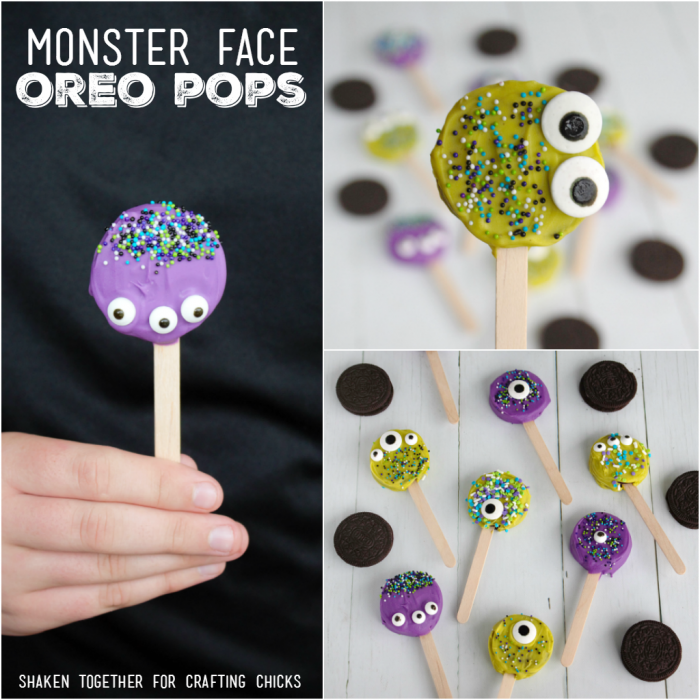 Since these are so simple, these Monster Face Oreo Pops would be a great kid friendly activity for a Halloween party, classroom party or monster themed birthday. More Not So Spooky Halloween Fun! 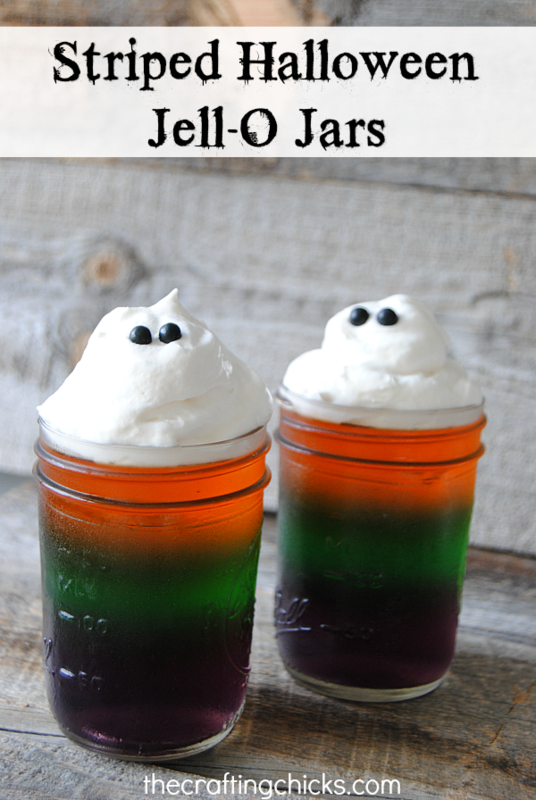 What fun treats that look so easy to make! 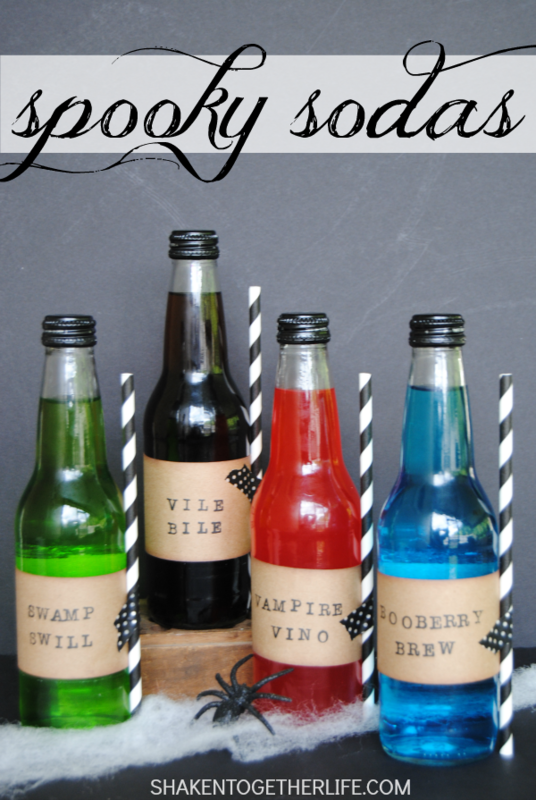 These are adorable & would be perfect for a Halloween party. Thanks for linking up with Merry Monday this week!